There are many excuses given by businesses being prosecuted for health and safety failings, but a desire to cut costs is a very common reason. And yes, there is a price to providing proper health and safety protection. But (ironically) these same provisions could actually make you rich. Here are five reasons you must invest in making the workplace safer if you want to become rich (or help your firm generate a healthy profit). 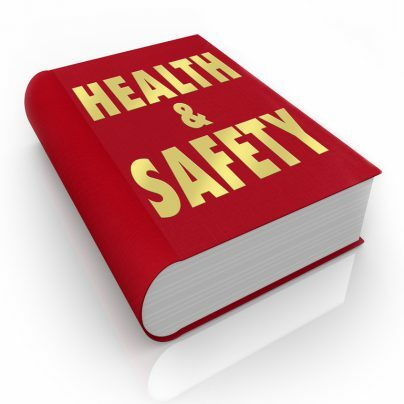 Keeping your employees safe and well will help to improve their overall health and well-being. Identifying and mitigating risks helps to prevent injuries or occupational illnesses so that your employees take less time off work. The healthier your workforce, the more productive they become, ensuring you meet production schedules. You may even be able to earn more early-completion bonuses too. Workplace accidents have a knock-on effect on your insurance renewal quote. If your business has a history of workplace injuries and accidents, you can expect a (large) annual policy increase next year. Investment in safeguards to reduce incidents on site will be repaid when there are fewer accidents. Fewer injuries mean fewer insurance claims, helping to reduce the overall quote provided by your insurer. When your regular team is ill or injured, you must hire additional contractors to ensure that you continue to reach project milestones. These interim contractors may be more expensive than your regular employees, adding to the wage bill – and eating into your profit margins. Providing employees with high-grade safety gear or investing in health and safety consultancy, will help to prevent them falling ill. Which means they not only maintain very high levels of productivity, these investments will also reduce the need to hire more expensive “day rate contractors”. Investing in site safety shows that your business cares about its workers. Which is highly attractive to job seekers. By helping workers understand that your business wants them to be fully fit and healthy, you send a powerful message to the rest of the industry. When they see how good conditions are on your sites, you will find it much easier to attract highly-skilled employees who add even more value to your service. By far the best way to become rich is to avoid being prosecuted by the HSE in the first place. Sentencing guidelines call for stiff financial penalties – the average penalty handed down in the UK is now £77,000 per incident. Using PPE, training and well-designed safeguards, you can keep your workers out of a hospital. And your company out of court too. To learn more about making health and safety a priority – and how it may make you richer – please give us a call. How much do health and safety failures really cost you?